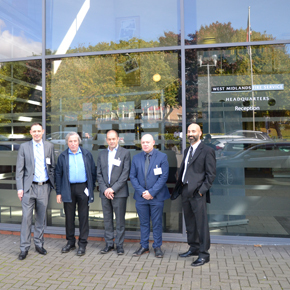 ASSA ABLOY UK hosted a fire door safety event at West Midlands Fire Service’s headquarters in Birmingham that was attended by over 60 prominent facilities managers, architects and door hardware installers. ‘It’s Time To Talk About Fire Doors’ was a free event, that featured talks from Steve Shoker, Fire Safety Officer at West Midlands Fire Service, Dan Cooling, Associate at integrated building design business One Creative and Ian Humphries, Planning Maintenance Officer at the University of Birmingham. 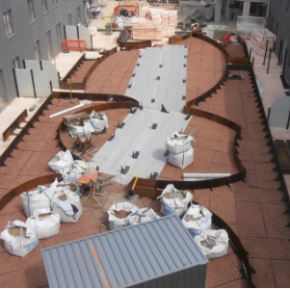 The Grenfell Tragedy has left fire safety firmly front of mind and the talks tackled the challenges faced by professionals responsible for managing building design, construction and maintenance. 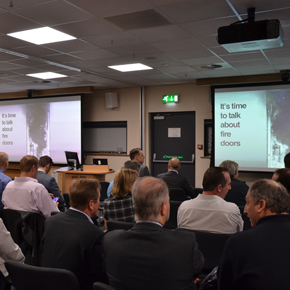 They also offered invaluable insights into how to check fire doors so that they are properly installed and maintained, whilst representatives from ASSA ABLOY UK also took to the stage to outline typical issues surrounding fire doors. 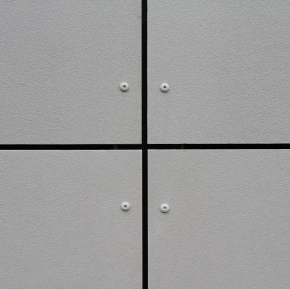 As well as this, they discussed a best practice guide to specifying door hardware, with opportunities to answer key questions from the audience following these sessions. The event was part of Fire Door Safety Week, organised by the British Woodworking Federation to raise awareness of how third-party certified fire doors can prevent life-changing injuries. 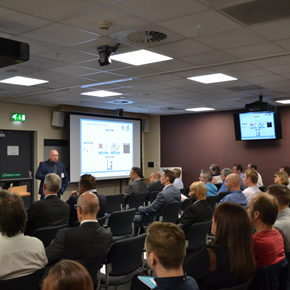 Fred Williams, Service and Repair Manager at ASSA ABLOY UK, said: “We were thrilled with the turnout to our event at West Midlands Fire Service. It’s encouraging to see so many professionals engaged with how fire doors should be safely installed, managed and maintained, which will ultimately help save lives. 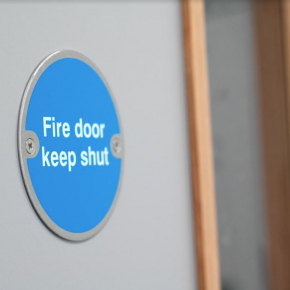 “We would like to thank West Midlands Fire Service for its support in helping us to highlight such an important issue, as well as the British Woodworking Federation, which ran such a successful Fire Door Safety Week campaign this year. “Initiatives such as these are vital for spreading the message about the importance of fire door safety.